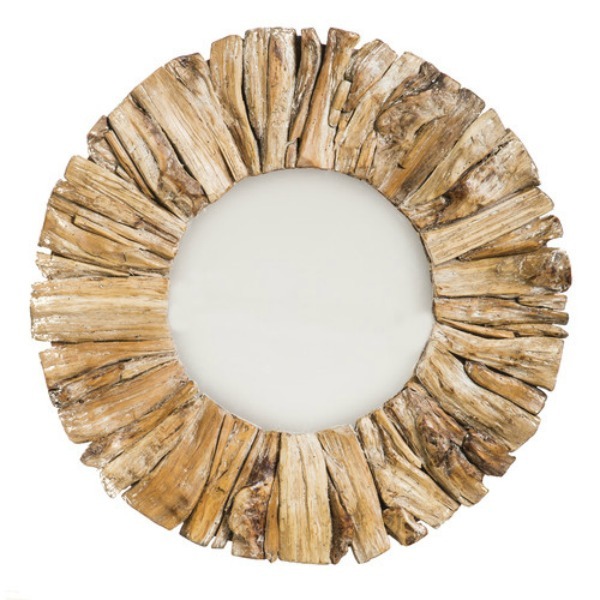 I receive a lot of questions inquiring as to where I bought my beautiful driftwood mirror. It is from Kirkland’s and sells out super fast, though I just checked today, and it’s back in stock! 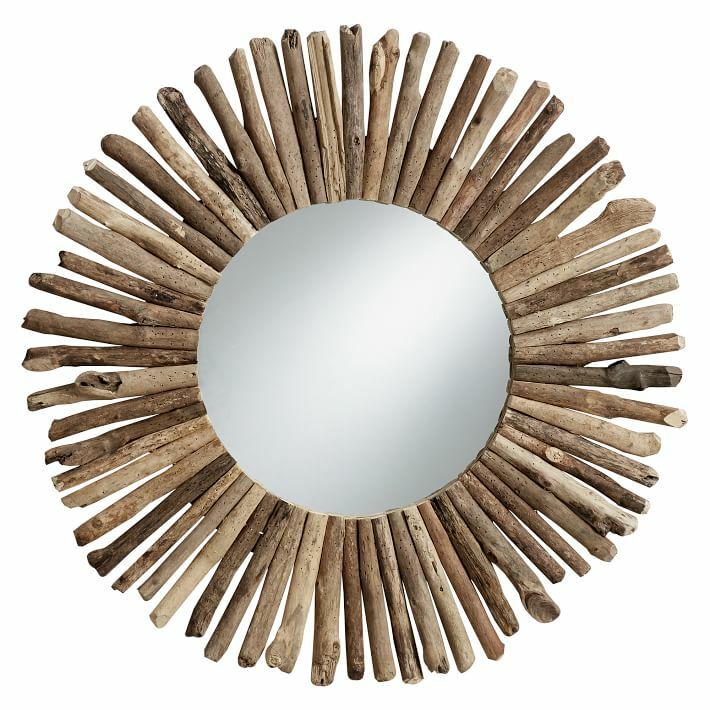 So I decided to pull together a collection of affordable, fabulous driftwood mirrors that are hot on the market today. This mirror has a new home upstairs. If you follow me on Instagram and have watched my Instastories, then you know that we have been crazy busy making over the playroom into more of a teen rec room. All I have to say is that the mirror looks amazing in its new space. I can not wait to show you the results soon! 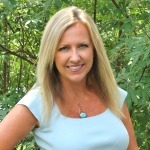 This post contains some affiliate links for your shopping convenience. Almost all of these are under $300. Click on the links below for sourcing and prices. 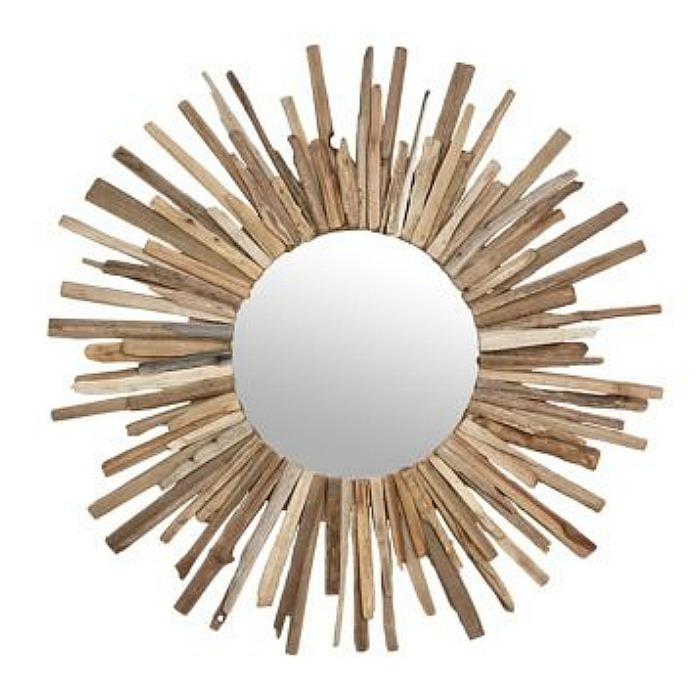 Sunburst Driftwood Mirror (this is the exact same one as I have). 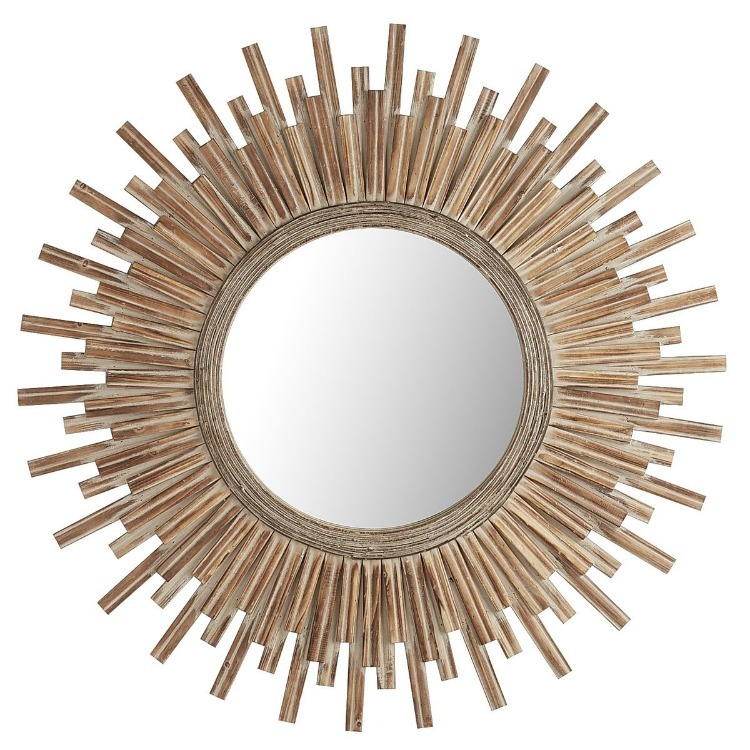 If you love a sunburst mirror but want a more structured look then the Canyon Round Wood Sunburst Mirror is a great option! 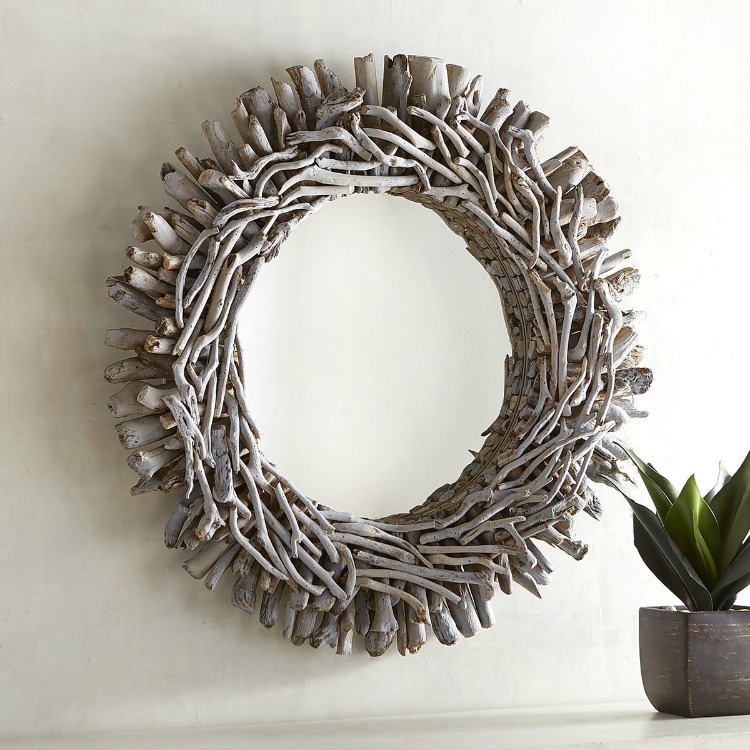 Blue Washed Driftwood Mirror ~ I suggest displaying this mirror on a white shiplap or white painted wall. 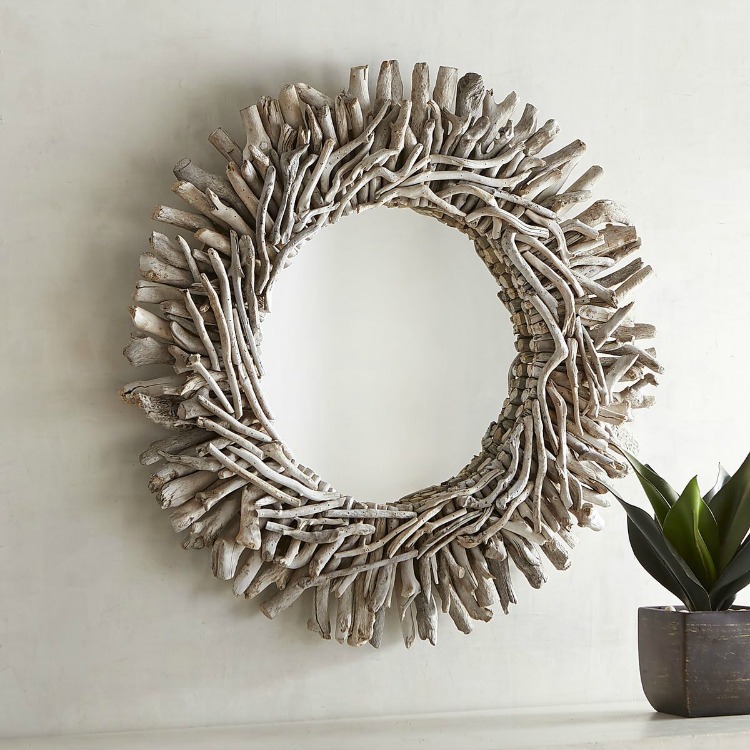 This White Washed Driftwood Mirror made from small found pieces of driftwood would look beautiful on a wall painted in watery blue tones. 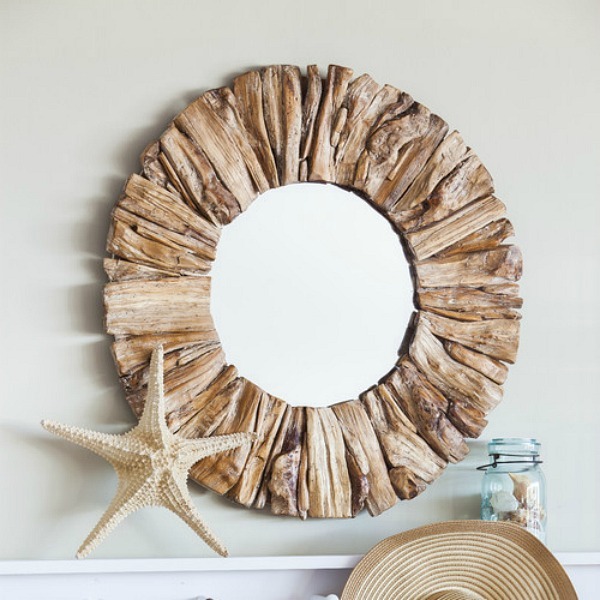 Funky and chunky, I love the rustic look of this Beachcrest Home Driftwood Mirror. 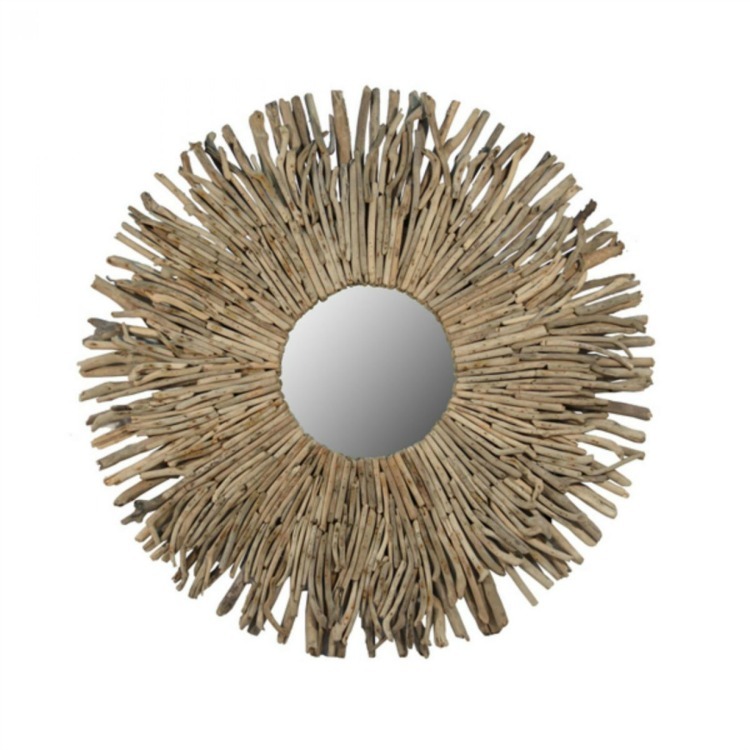 Driftwood Edge Round Mirror – If you prefer a more subtle coastal look this is a nice option. 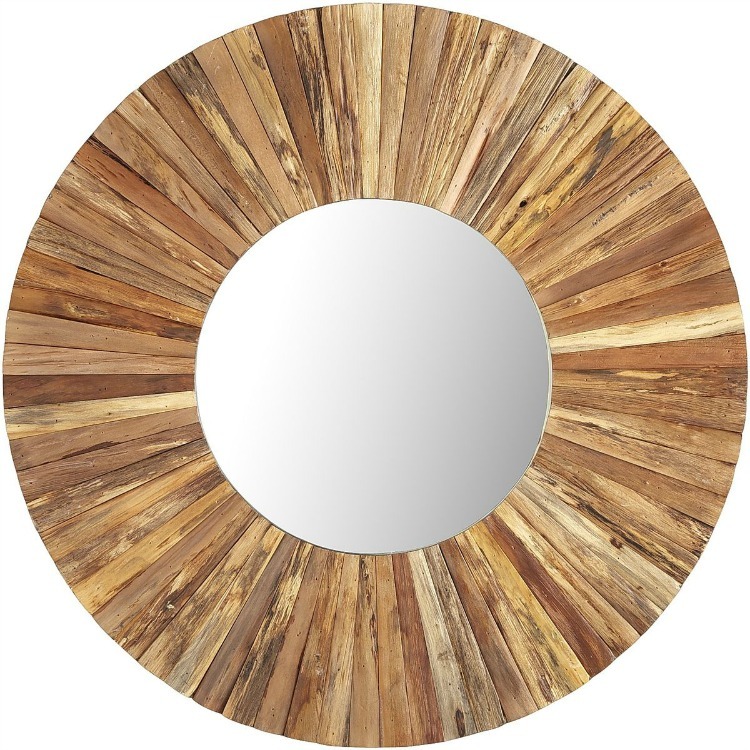 The Eternal Natural Wood Mirror is made from real wood and has such a nice weathered finish. 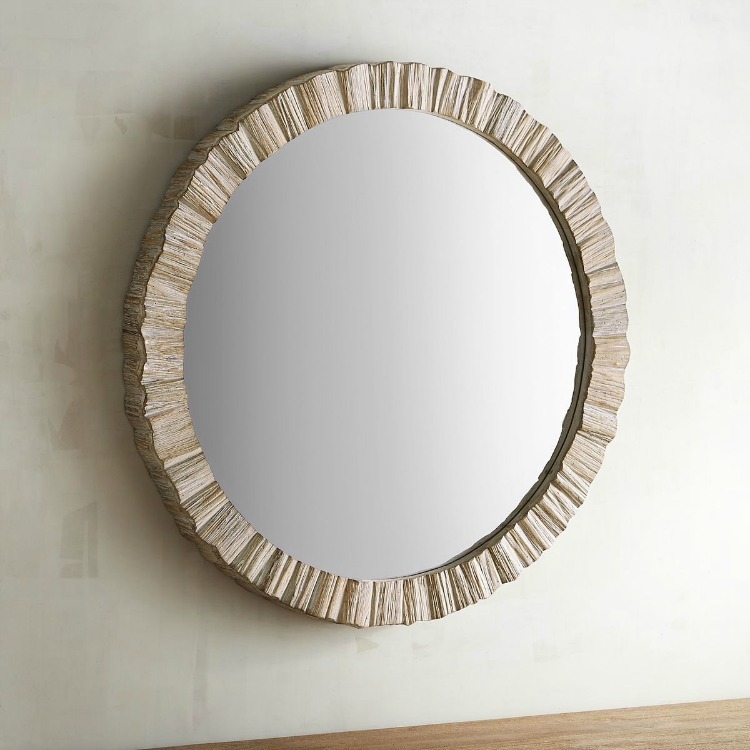 This one also comes in white washed wood…. and also in aqua, white, and blue washed finish. Don’t you just love these mirrors? The color and texture are fabulous. I have a similar one with a smaller-sized mirror in it. The white washed one is my favorite of these. 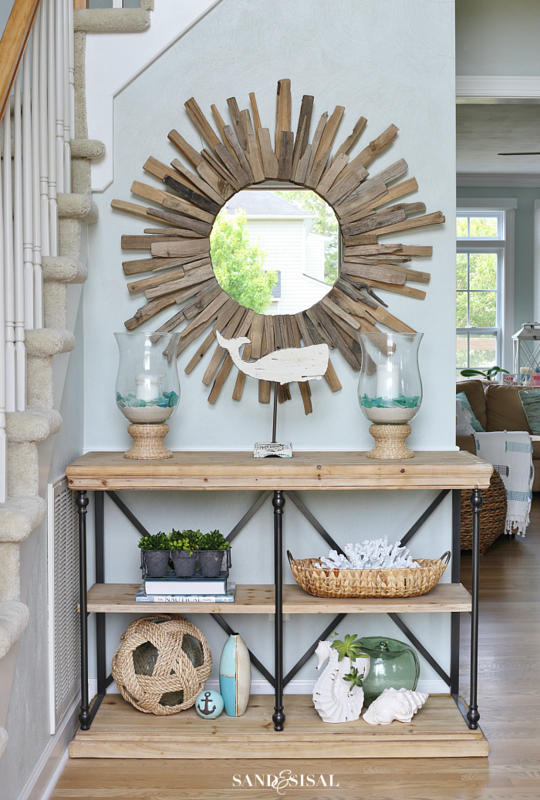 I absolutely love the table/shelves in your entryway. Love how you set the coral inside a basket. Thanks for the inspiration! Thank you Debbie for the very sweet comment! 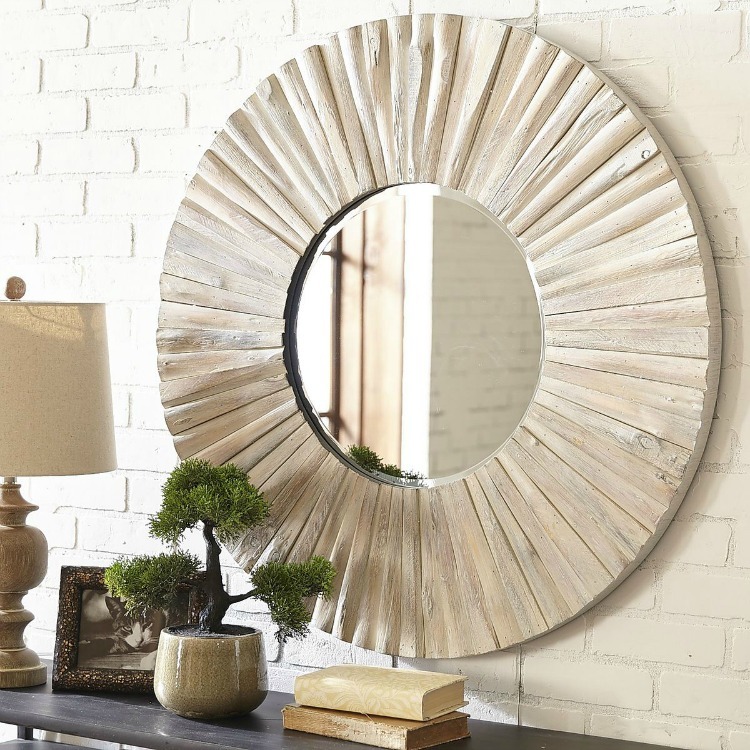 I do love that white washed mirror too! Have a beautiful weekend! Love your decorating sense! 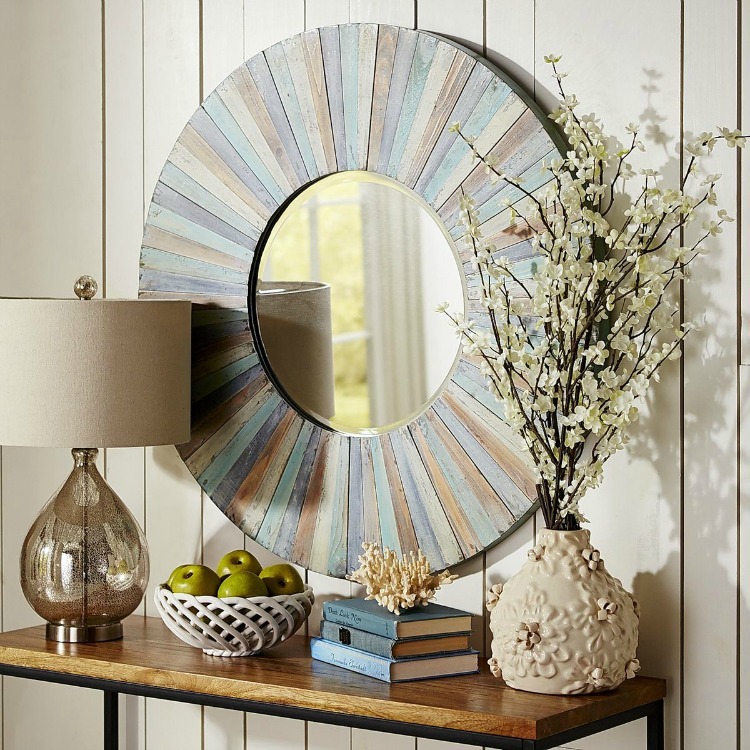 Can you tell me where the table is from, that is below that wonderful driftwood mirror? Thank you Chris! 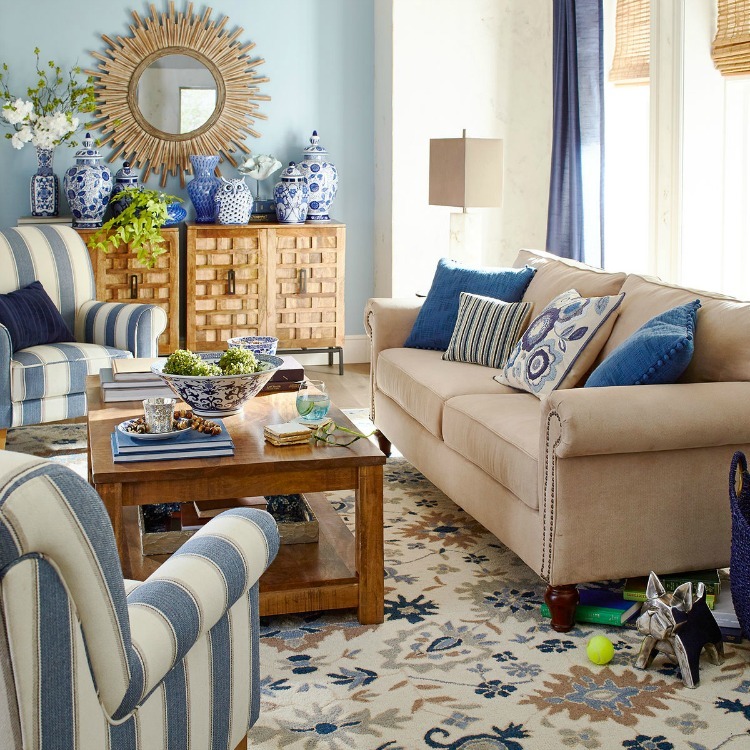 The console table is from Kirklands.